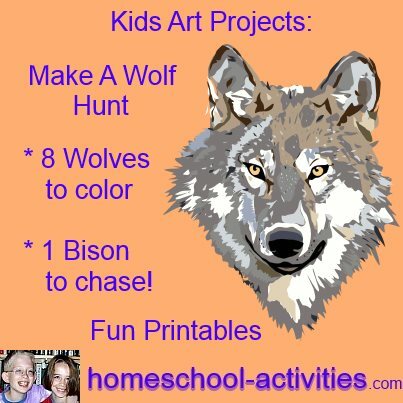 Top tips on how to paint a wolf with free printable wolf coloring pages complete with a bison to chase! 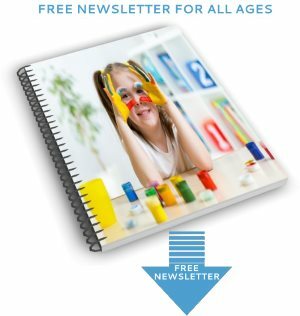 My homeschool daughter Catherine, who has been exhibited in the London Natural History Museum, has specially drawn these free coloring pages for you. 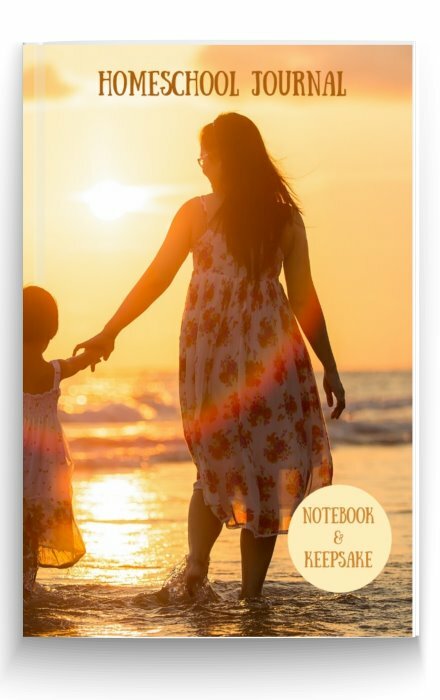 She has made them for you free to download. 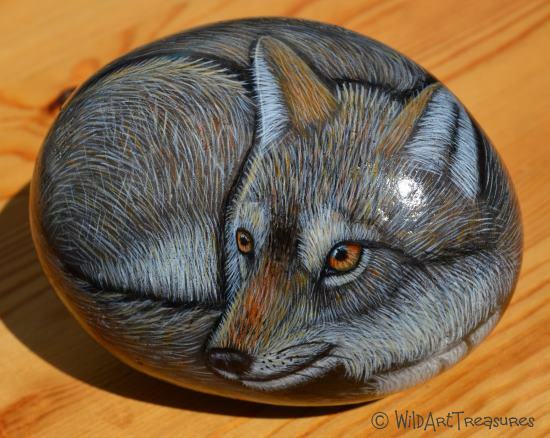 She's become a talented artist running her own on-line Etsy shop as you can see from her hand painted rock. 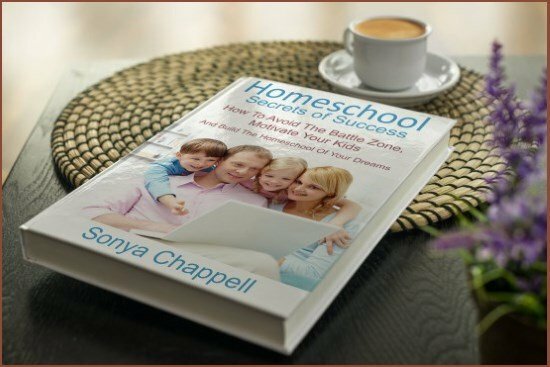 She will share with you our best homeschool tips so you can learn how to draw a wolf for yourself. 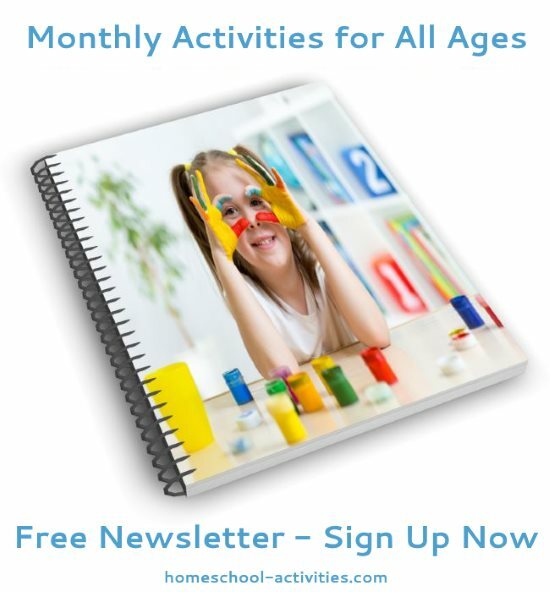 If you're looking for unusual art projects for kids this is it! 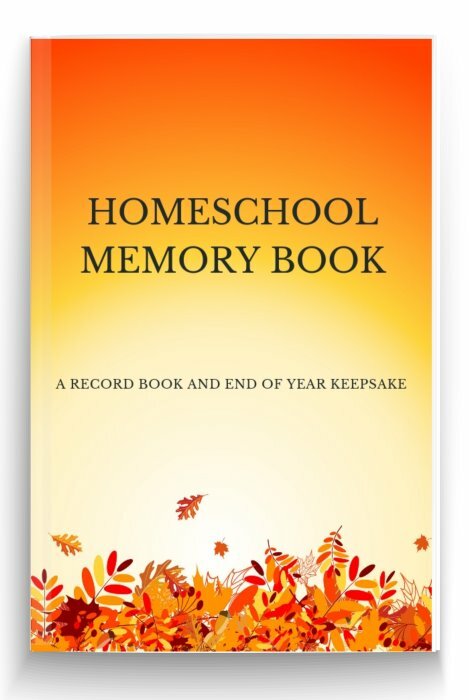 This project would also make a fantastic lapbook activity. See lower down the page for fun facts and photos. Hand painted rock by my homeschool daughter Catherine. You'll find 8 different wolves to color and your hunt is big enough to cover the whole of one wall. 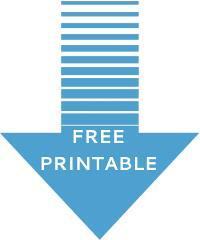 You can download these free printable wolf coloring pages and make one exactly the same! 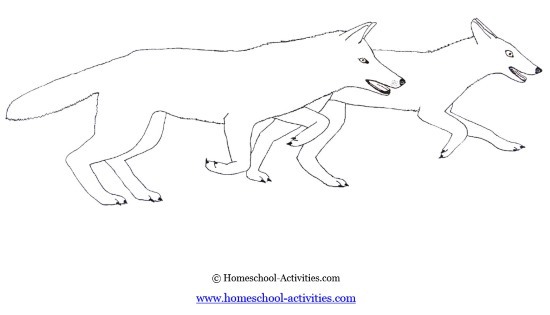 To make this into one of those an extra special art projects for kids, we thought we'd start by sharing some homeschooling tips so your kids can have a go at drawing their own wolves. 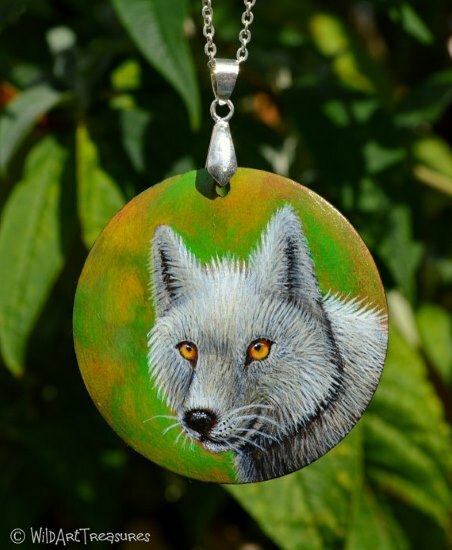 Wolf necklace hand painted by my homeschool daughter Catherine. 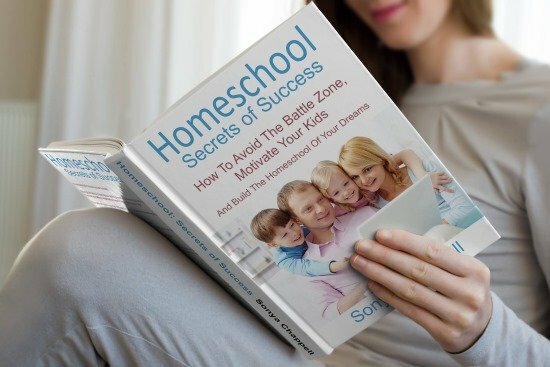 The best homeschool hint is to start by thinking what makes a wolf a wolf! Art is often about giving clues, so shaggy manes and tails will definitely begin to ring some bells. Kids might find drawing approximate geometrical shapes helps you get the basic body design sorted. 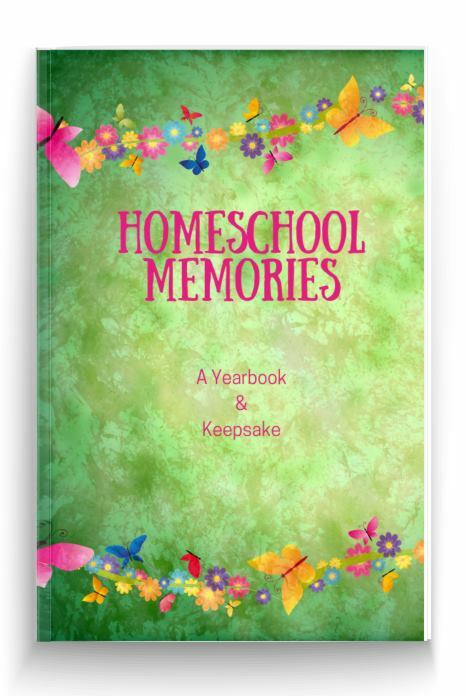 Catherine can show you how this is done on her homeschool art dragons pages. 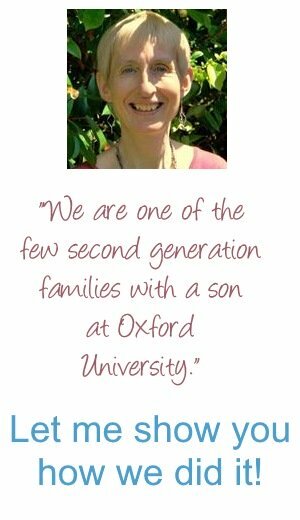 Have a look at Catherine's wolf animal totem in her Wild Art Treasures Etsy on-line shop to see how having a long narrow nose and tall pointed ears begins to mark out your animal as a wolf rather than a soppy dog! When you're thinking noses, think dogs! It often helps to leave a white line showing the nostril, and dog's nostrils are shaped a bit like a keyhole. Eyes always make animals come alive when you're learning how to draw them! Wolf eyes are very special. 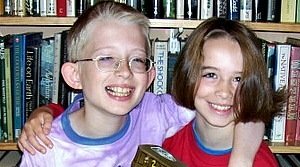 They have black around the iris as well as a black pupil. 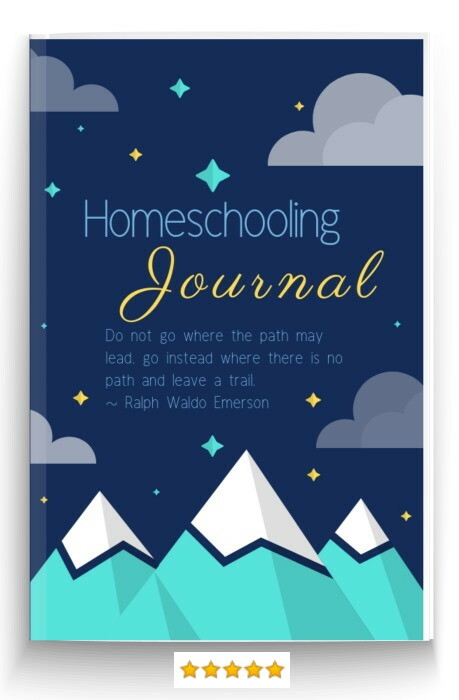 The main thing to remember with all homeschool art projects for kids is that they're all about enjoying yourself and having fun! Even if your wolf comes out looking more like a donkey it doesn't matter. You can draw your wolf hunt anyhow you like. 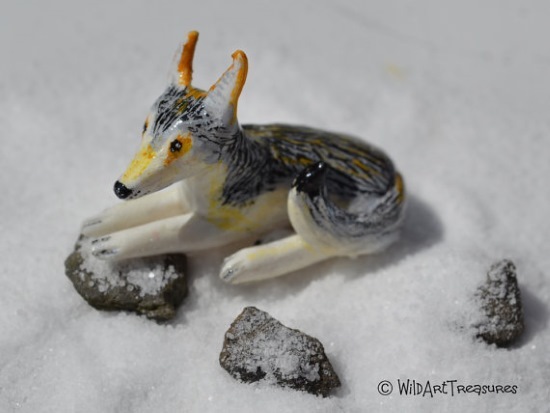 Catherine also makes wolf totems out of polymer clay and sells them on her Wild Art Treasures Etsy shop. 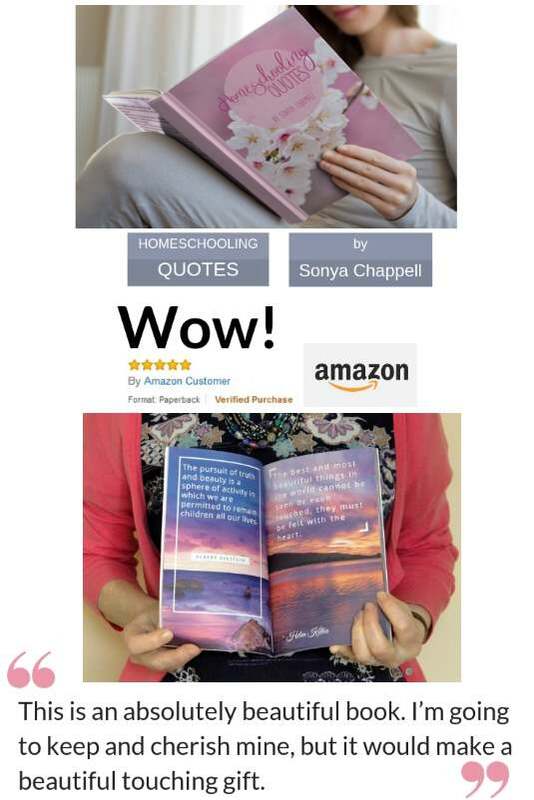 If you have a look they are simple to make and something your child might like to try. 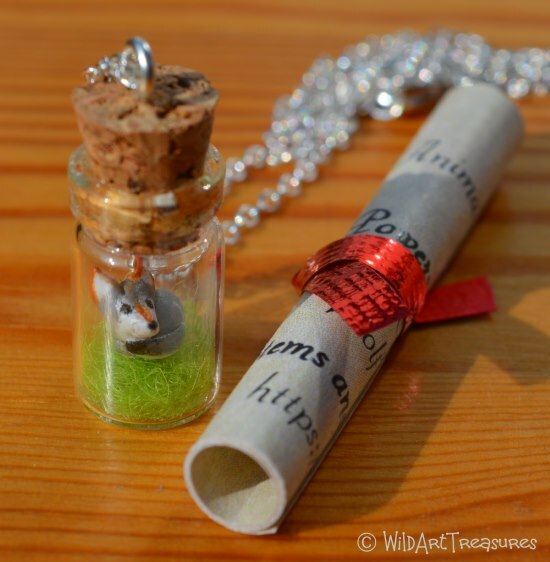 Each wolf totem comes with its own scroll outlining its powers. Wolf totem is strongest by the light of the Moon. This Animal totem will always be there to protect and guide you. 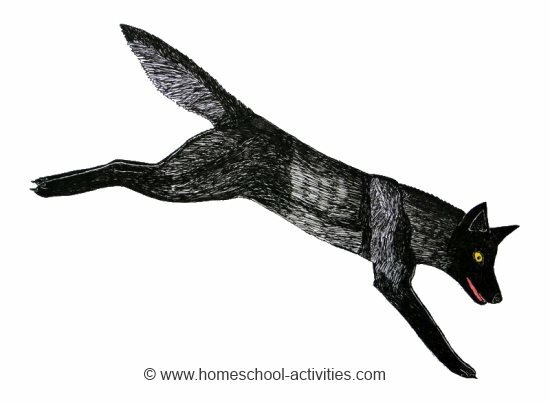 Your child might also like to invent their own powers of the wolf as a fun writing activity! 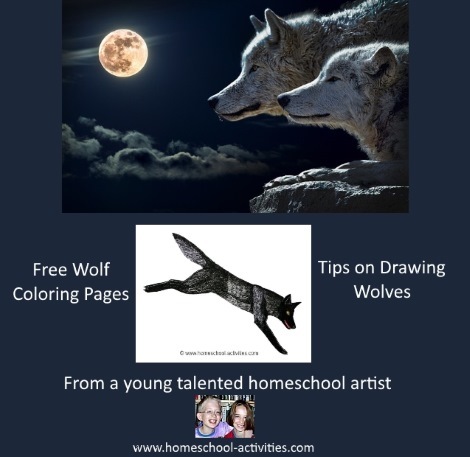 You can download your free homeschool printable wolf coloring pages here. 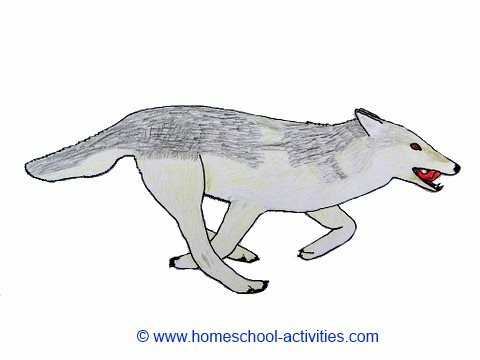 You'll find a pack of EIGHT wolves for kids to color, so plenty of opportunity to practice homeschool art! 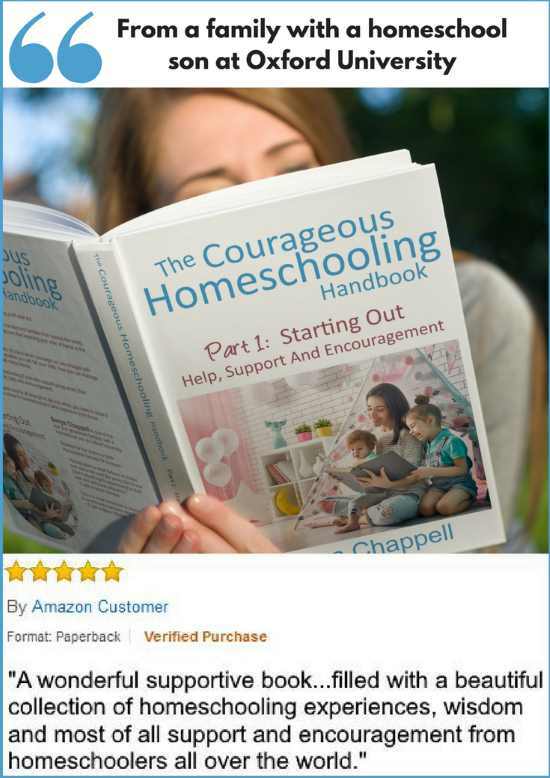 Catherine's homeschool hunt shows them walking, running, panting and generally getting stuck into the chase so you can have fun coloring them in all different positions. This short video shows you the coloring pages printed out as a wolf diorama. You'll find wolf hunts only really work if there's something to chase! 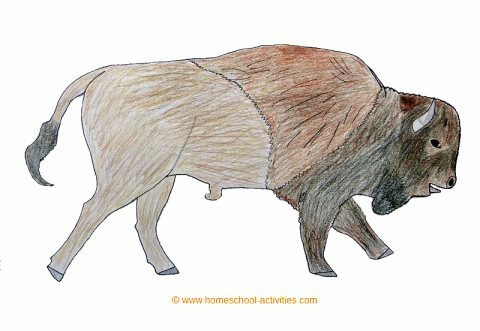 Here's a free printable bison coloring page for you. He's colored in here so you can see, but yours is blank so your kids can color him any way you choose. 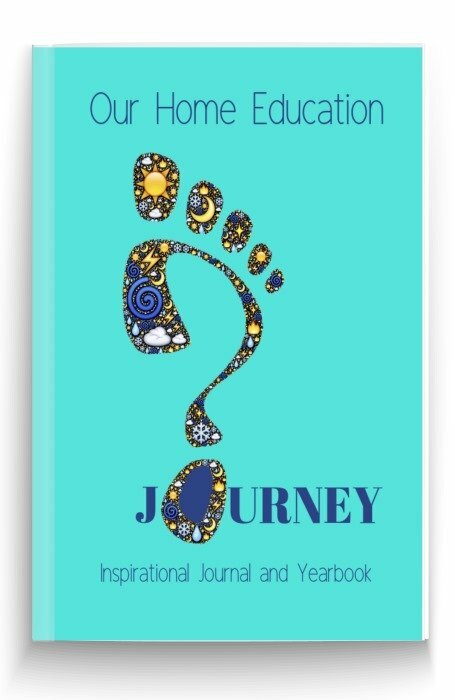 This would make a great art project for kids to turn into a lapbook. 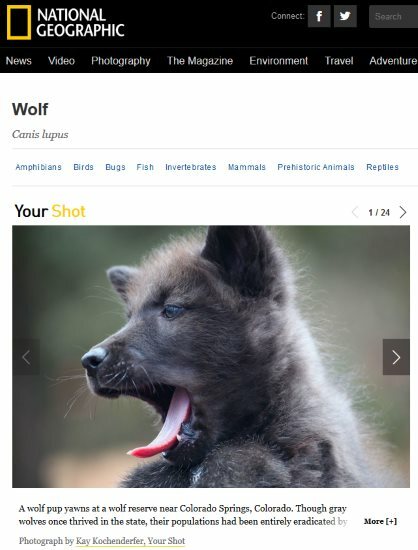 Older kids will enjoy this Fact Sheet about the Gray Wolf and how you can protect them. 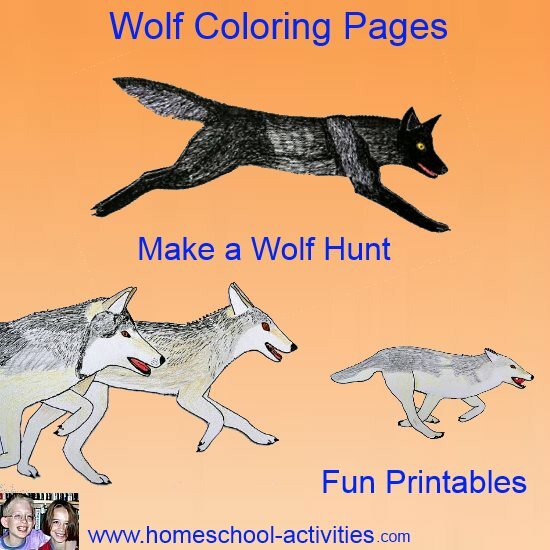 If you have older kids, they might like to try coloring these homeschool free wolf coloring pages too! You'll see Catherine's art skills come in handy for lots of great homeschool art projects! 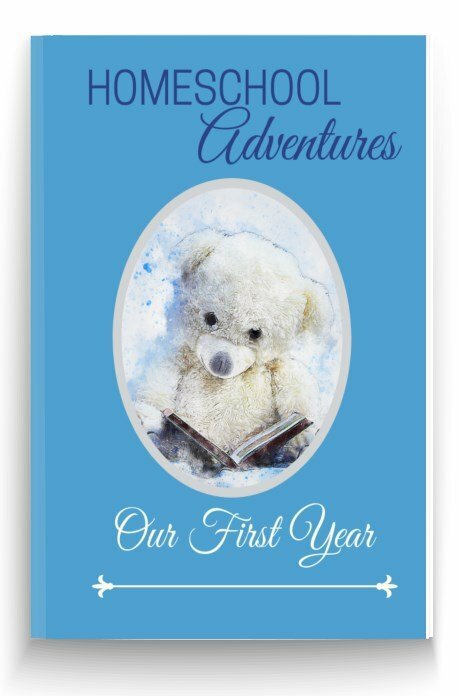 I persuaded her to illustrate lots of free kids story prompts like this one to encourage your child to see writing as fun. 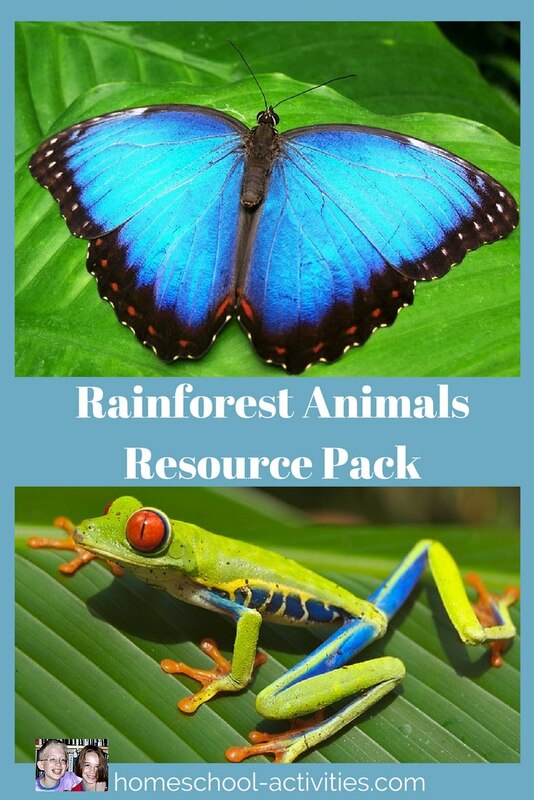 Join us in the rainforest and draw the biggest spider in the world for kids rainforest activities. When it comes to learning how to draw, dinosaurs are pretty forgiving! Come and join our homeschool art projects for kids making pterosaurs fly in our dinosaur unit study.